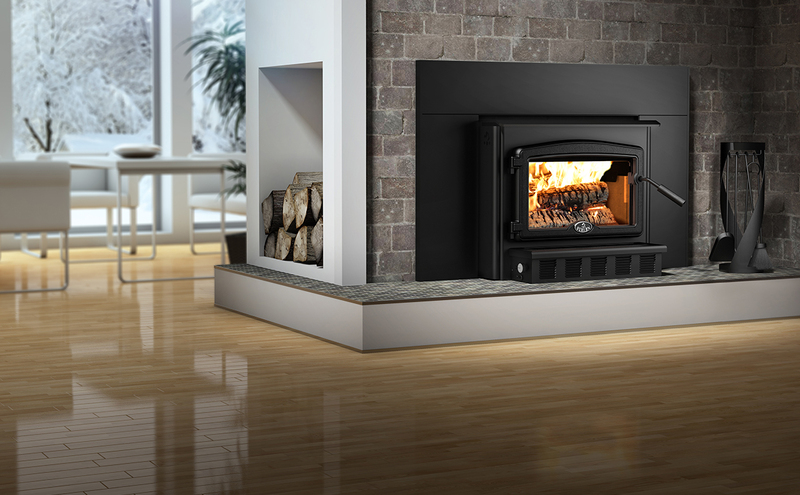 With its 2.4 cubic foot firebox, the Osburn 2000 insert offers an alternative to the people who love its freestanding counterpart. The two models share the same high quality combustion properties and many of the same features. This appliance comes with a standard high-power, heat-activated 120 CFM fan strategically positioned to redistribute the heat from the firebox into the room. The 2000 model is designed to receive an optional faceplate that can cover a masonry hearth up to 32 inches (81 cm) high and 50 inches (127 cm) wide. The door overlay is available in black or brushed nickel plated finishes and the faceplate trims too.